Fort Ann Central School District » News » What's New » Mrs. Power's Class Plays "Musical Books"
Mrs. Power's class is having fun with reading and writing! Students enjoyed an afternoon of reading a spring poem together, completing a chart about spring, and playing "musical books." 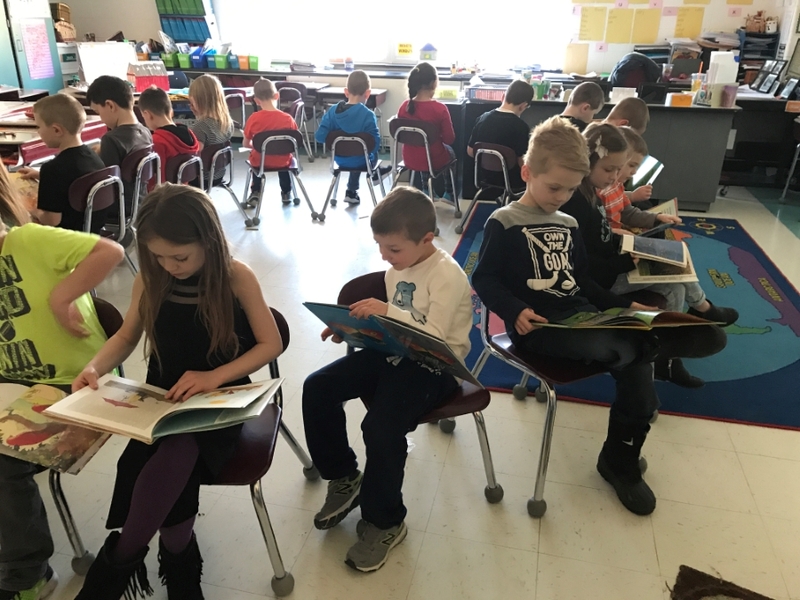 "Musical books"(spring edition) is a game where students play musical chairs until they land on a seat. 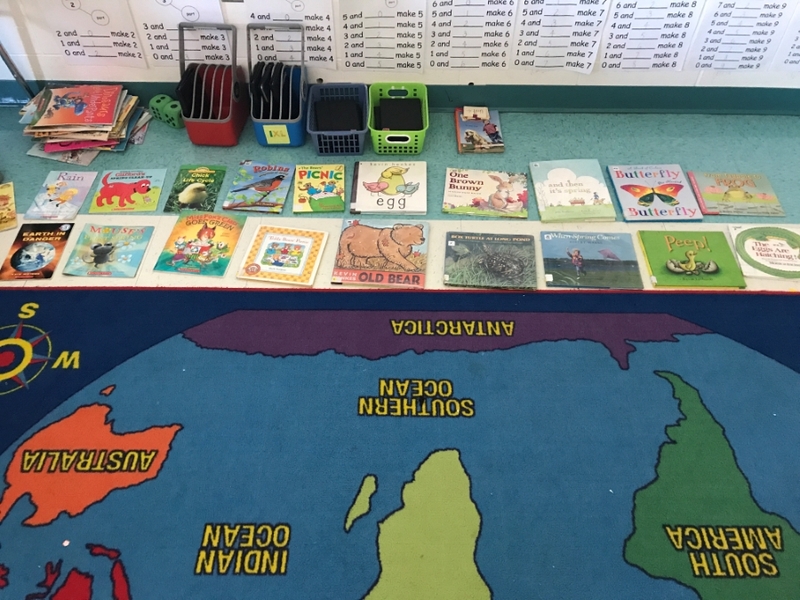 Each seat has a book on a spring topic for the student to read/sample. The books chosen ranged in ability and fiction or nonfiction, allowing students to explore different writing styles and difficulty levels. 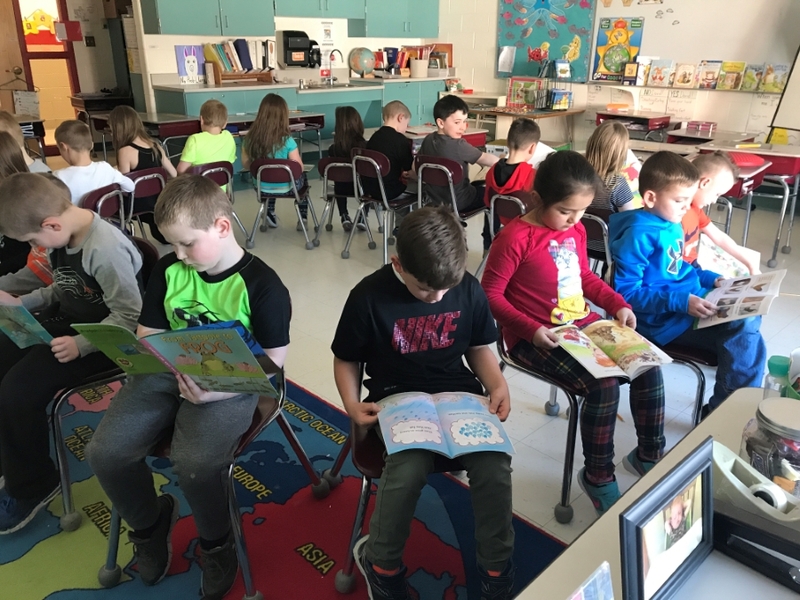 Overall, each student had the opportunity to test out 5 books and hopefully find one they love! This activity is designed to inspire a love of reading and encourage students to try something new. Thank you, Mrs. Powers, for discovering creative ways to inspire students to learn, read, and have fun.